As you may already know, I recently spent a week in Wanaka with our competition winner, Andy, celebrating all things New Zealand, Queenstown, Wanaka and more particularly, Cardrona. 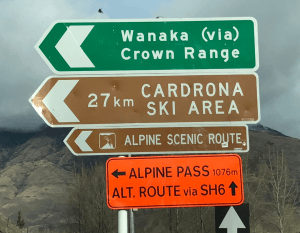 Having experienced both Coronet Peak and The Remarkables, I was really keen to get across to Cardrona and see what all the fuss is about. Well, let me just say… the ‘fuss’ is well founded!! What an amazing alpine resort. 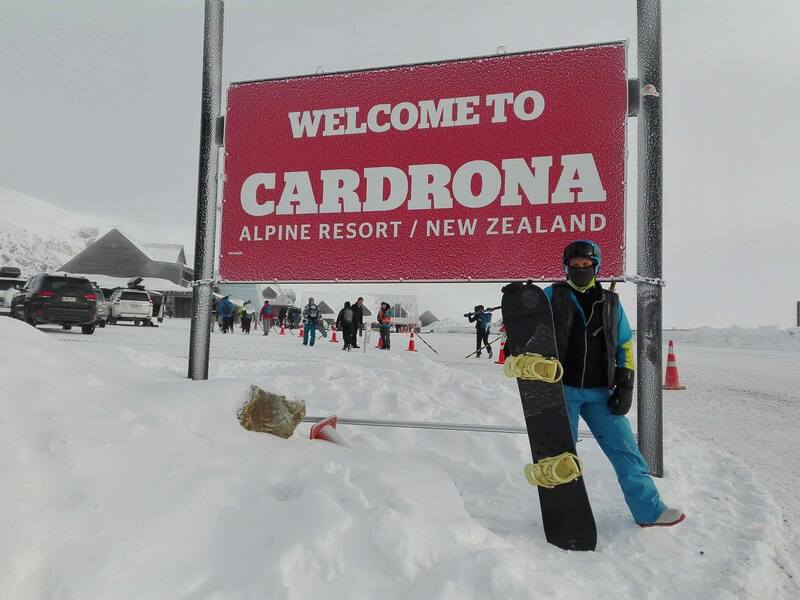 The only one in New Zealand to offer ‘on mountain’ accommodation, the joys of Cardrona go way beyond being able to ski in/ski out. The central ‘village’ area is really quaint with plenty of space inside and out to sit, eat, drink, wait for friends or simply take in the breathtaking view of the mountain itself. 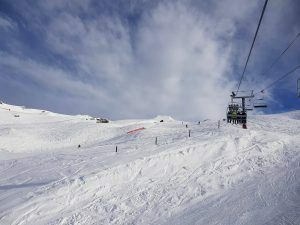 The runs are all epic – from the undulating green runs for warm up, through to the more challenging steep blue and black runs – there really is something for everyone on this mountain. Apart from the awesome runs (Short Black, All Nations and Arcadia really stand out) there’s a heap of pipe action available as well as a seriously cool terrain park with big jumps on offer and plenty of air time up for grabs. The taller off-piste action, whilst it requires a bit of a hike, is well worth cutting fresh tracks in the side of the mountain that has been untouched before you! Whilst we were in Wanaka we stayed at the gorgeously quaint TE WANAKA LODGE run by the uber-beautiful Wayne and Mandy Enoka. This BnB lodge is stunning with big fluffy comfy beds, an open fire in the guest lounge and communal dining for breakfast. When coming off the mountain, expect to be greeted by home-made afternoon tea and perhaps some mulled wine or warm soup! Their outdoor hot tub spares guests the ‘cosiness’ of sharing with others by way of a very sensible booking system on the kitchen fridge! 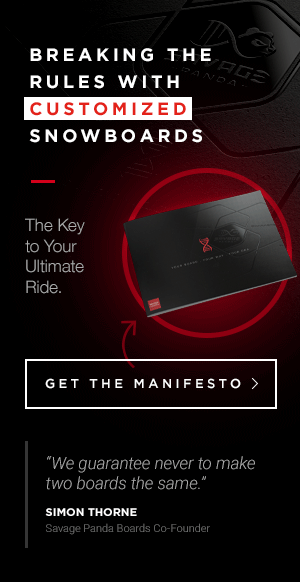 So your personal space is guaranteed. And as far as hosts go, you seriously could not ask for anyone more suited to the role than Mandy and Wayne. 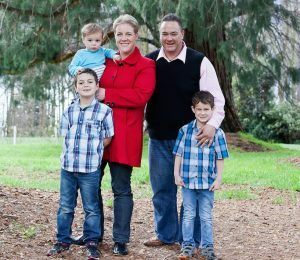 Long time Wanaka locals, they have 3 boys and can often be found shredding it up Cardrona – and why not? 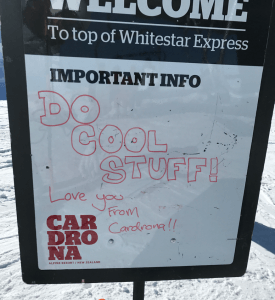 This amazing mountain is their backyard playground so you can always rely on them for the hottest tip about what’s what up on Cardrona. As an Aussie, the rivalry with our cousins across the ditch is well documented. However, when it comes to their mountains, they really are something special, offering a totally different experience to what we get here in Australia... not saying it’s better or worse, just different... and I for one am very happy to celebrate these differences and embrace them both. 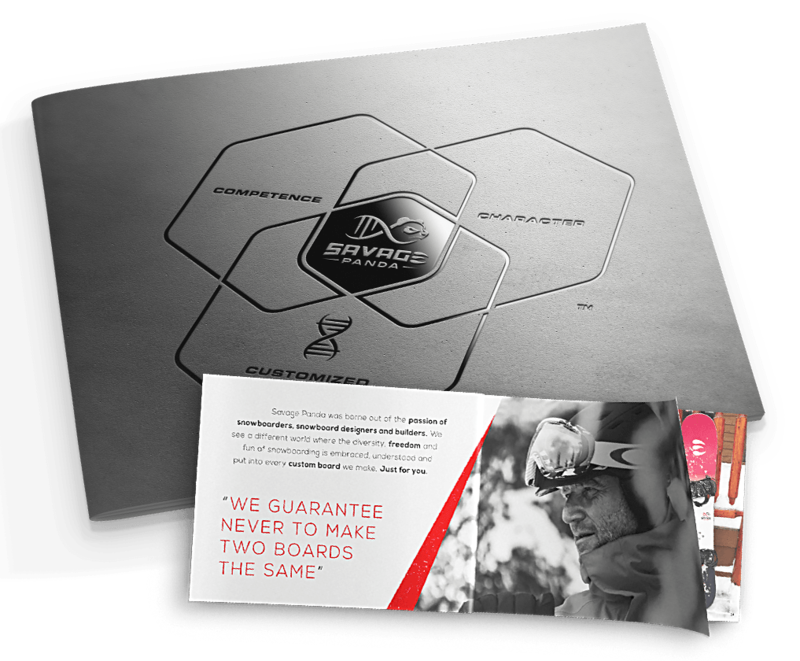 Hope you get to experience Cardrona one day soon.